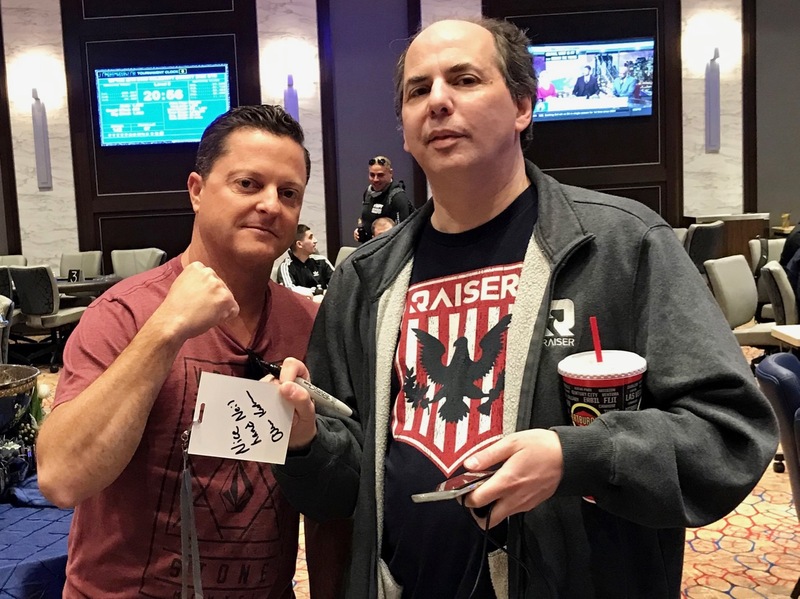 Down to fewer than 10BB, @AllenKessler moves all in with Ace_Five of Clubs and is called by the Pocket_Sixes of Neil Rodvold. Kessler picked up a few extra outs on the T-J-J flop, adding more on the K turn, but the river gave Rodvold a set and Kessler handed over his Grand Opening Celebrity Bounty badge after singing it. Rodvold wins $300 cash and a $200 Credit to High Steaks Steakhouse as his bounty prize.